This database is officially retired as of 9/07/06. Thanks to everyone who participated. Be sure to check out the new DDR2 OC Database. Interested in 2x1GB of memory for your system but unsure of how your set will perform? 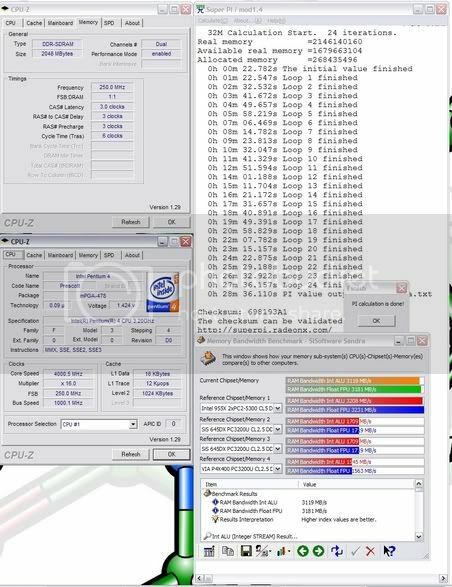 Well nothing is certain in the world of overclocking, but with this database, hopefully all of you will have a better idea of what to expect from your ram. To submit your own results, simply PM me with all the details shown below and I'll add you to the database; everyone will appreciate your participation. To get a CPU-Z verified link, get CPU-Z 1.31, open it and go to the "About" tab and click the button that says "Validate". 1. If your results information is not complete or not cpu-z verified for longer than 10 days, your results may be removed from the database. 2. Multiple results may be posted. For example, if you have 2x1GB set that does poorly togethor, but great when used individually, send me results for both. If you have a set that does great tight timings and high fsb as well, send me info for both. 3. Super PI 32M stability screenshot is now a requirement for the database. Last edited by EnJoY; 09-07-2006 at 01:47 PM. PM'd you with my results. Updated, received a few pm's and will post results once all info is received. I thought the Ballistix is Micron 5B re labed to 4B ? Ill have to look as I don't think its quite the same. All Crucial with the -5B Micron chips, is the -5B D.
Does that say -5B C? Is so, must be older ballistix or rare new set. That definitely is -5B C....week 26, too . @Jericho....how'd you take off your heatpreader and has it done anything for the OC? Edited his info, changed to -5B C.
No its not mine LOL, although I will pull my spreaders if you think it will help - they are from a hexus review. I'll have 2x1024MB sticks of Crucial PC3200 Value later this week from Newegg. I'll report in how they perform with my 3200+ Venice on a DFI NF4 Ultra-D.
Ok popped the spreaders off. Vapour I just use a stanley blade and prise the clip from the top edge, just lever it up and they will come easy. Ill leave them off and test to see if it helps any. -5B D just as I thought. 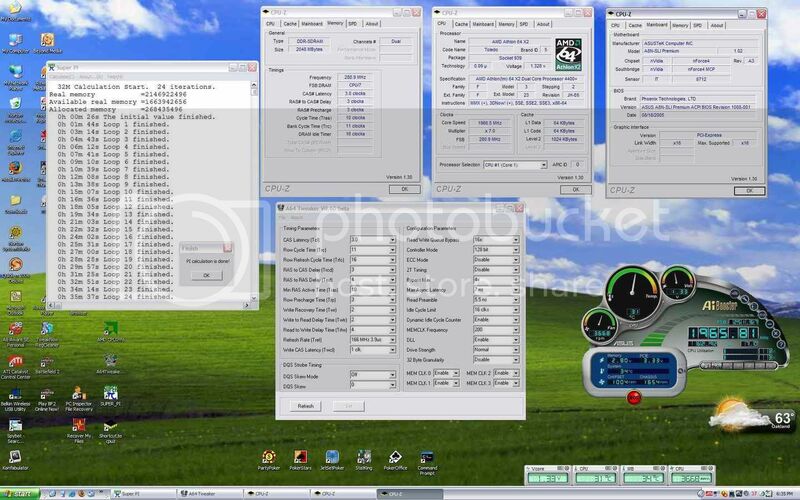 The earlier Ballistix had the -5B C, just like the OCZ EB stuff. Thanks for the pointers and pics...any thermal paste or epoxy in there? Also, I'm pretty sure they do bin quite stringently. Pulled them as I was sure they would'nt use an old stepping. More to the point is this re-classification to -4Y ?? They have Thermal tape - its not even very good at that. OCZ used to use the same type of spreader, and probably tape. What I have noticed is thesedo run hot, so as usual the speareds are there mainly to differnciate them from the value line rather then actualy do anything IMHO. -4Y? I don't think so, but possibly. I'll leave the db the way it is until I find out. As for heatspreaders, the only ones that do anything in my opinion are the copper ones you buy yourself and install with a real thermal paste, like AS Ceramique. Expecting a few more results soon, so keep an eye out. Maybe I'll have my own results up in a month or so. 2*1gb @1t? i thought they could only run 2t. 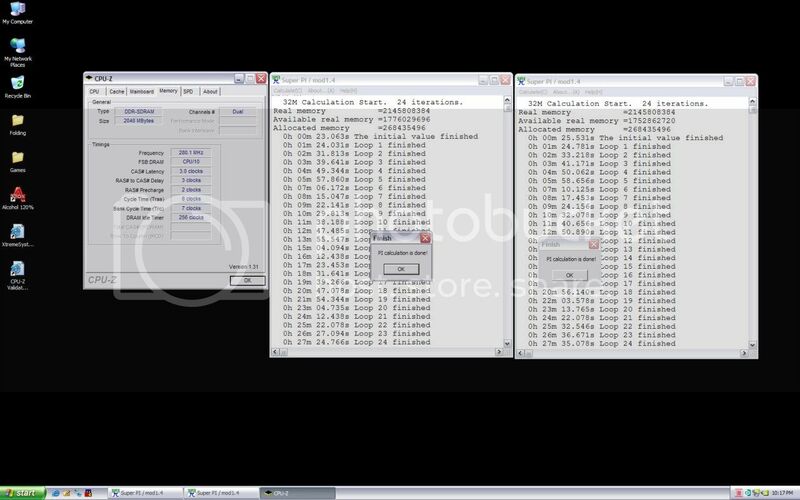 Jericho | 2x1GB Crucial Ballistix PC4000 - Micron -5B D | 2.5-3-3-8 1T @ 255MHz | 2.7v | Link! where is possible to get those awesome bank of RAM? Tested in Asus Av8 deluxe.